Our customers give us positive feedback and are happy with the insight! Do not have a smart meter, but do you want one? You can do that here! Sign up at SmartDodos.com and get the full picture of the consumption and production of electricity in your home. The latter if you also own solar panels. We offer useful reports so that your budget can be checked every 15 minutes! The only thing you need is a smart meter. If you do not have a smart meter yet, click here for more information on how to get it. SmartDodos provides you with clear graphs and wizzards to give you a complete picture of your energy consumption and possible energy generation. 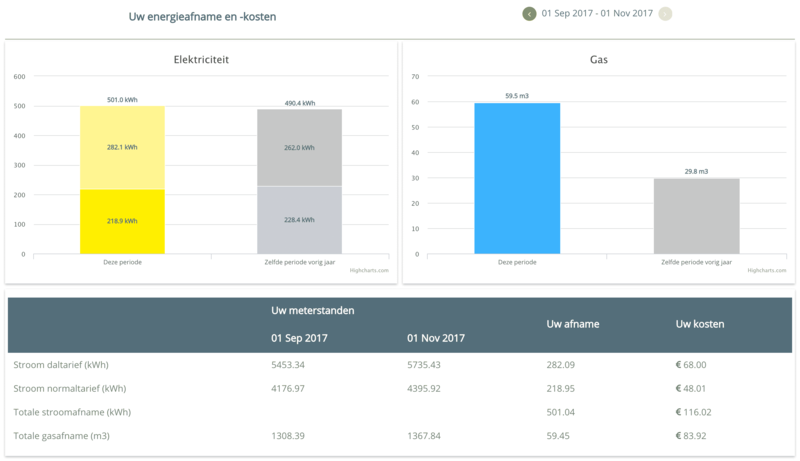 You are able to identify your energy users, compare gas and electricity consumption with your neighborhood, manage your energy budget and see how much money you saved this month. 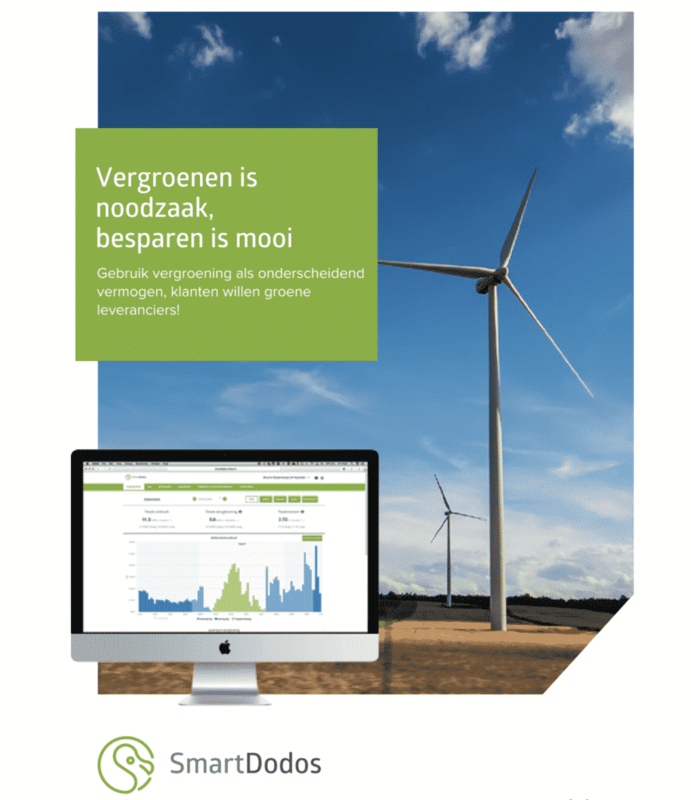 The most user-friendly reports and dashboards will help you manage your energy consumption and reduce your own energy expenditure through insight. SmartDodos can indicate whether your advance payment is sufficient and can predict whether you have to pay extra at the end of the year or receive a refund if the behavior remains the same. If you want to see how it works, click here. Do you want to know at what times of the day you consume the most? Then we can give you advice based on this information. 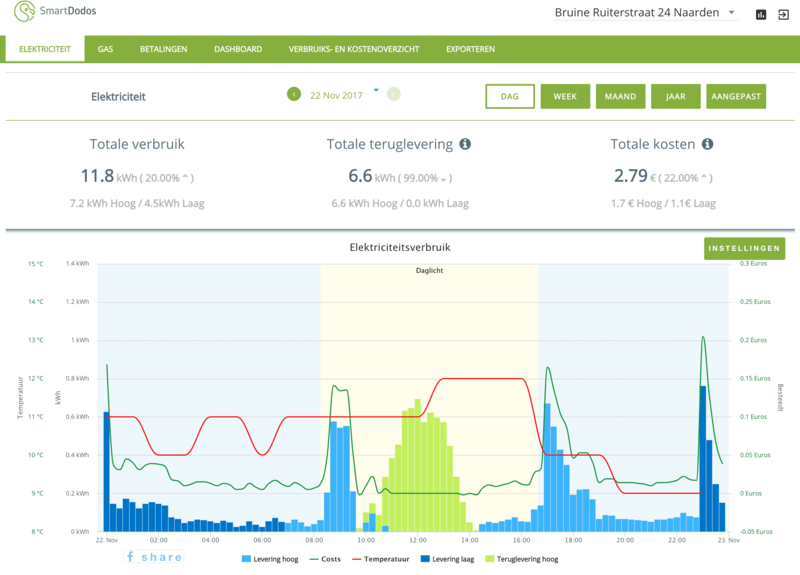 We offer a scientific basis which enables users to compare their gas and electricity consumption with their homes in the neighborhood or with comparable homes. Where your privacy is always guaranteed. By using the latest technology we can provide you with a lot of information about your use. How does Smartdodos get your data? You can find more about it on this page. We analyze the consumption of the previous year and on this basis we make a prognosis for the monthly payments. We also give you free advice on a correct advance amount. 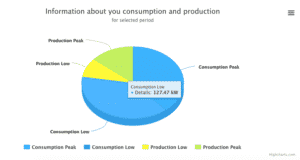 On the page Consumption Costs Overview (VKO) have prepared a report about your monthly consumption and expenses. More details can be found on this page. Free 2 months on trial and no additional costs! 2) After we have informed your network administrator (3-5 days) you will immediately get an overview of your previous year. Read here the details about the processing of data. Take good care of your data! You also retain the measurements of your smart meter if you change energy supplier. More about this feature here soon. It starts with a good insight. If you do not know how much you use you can not save money! – Discover your standby consumption! SmartDodos makes it possible to view the production of your solar panels and your wind turbines. Read more about on this page soon.